The municipality of Bruchsmühlbach-Miesau consists of typical German small towns and villages. Located in the West German state of Rhineland-Palatinate, this collection of settlements is home to about 10,500 people. 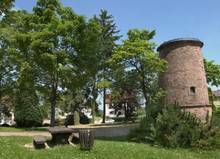 What’s not so typical about the town of Miesau is the fact that it’s also home to the “Miesau Army Depot” (also known as the US Army’s “Ammunition Center Europe”). It’s the largest American ammunition depot outside the US and just a few miles from the famous Rammstein Airbase and Landstuhl Medical Center. But Bruchsmühlbach-Miesau is special for another reason as well. 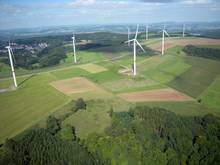 It’s part of the growing number of German municipalities and regions that actively work towards a 100% renewable energy supply. In order to make a further step towards this 100% goal, the mayor approached the US Army authorities with a plan of putting a 1-MW solar PV plant on the roof of huge storage buildings inside the massive military base. The local American military authorities and the national German authorities responsible for affairs concerning foreign military bases soon approved the plan and the project was about to be build. At that point, the project was halted because it still required additional approval from the Pentagon itself. In March 2012, the project finally received the long-desired approval from Washington and will be operational in May or June of this year. Energized by this success, the community of Bruchsmühlbach-Miesau is already planning its next project in cooperation with the US base. If everything works out as planed, the community will proceed to build a biogas cogeneration plant in 2012. This project will reduce the annual heating oil consumptionof the “Miseau Army Depot” by up to 443,000 liters / 117,000 gallons. Besides its current projects in cooperation with the US Army, it also plans to build another wind farm consisting of 5 turbines that will be finished in 2013. Those modern turbines will produce an additional 47 GWh/a. A huge addition to its renewable, clean and emission-free electricity production capacity. Due to the strong emphasis on local participation, regional value creation, and the overall positive experience of wind power, this new wind power project received the approval of 95% of the citizens and no NIMBY group was founded to oppose it. 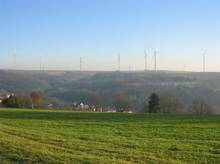 With this mix of local renewable energy sources, the community of Bruchsmühlbach-Miesau will produces 290% of its electricity demand by 2013. 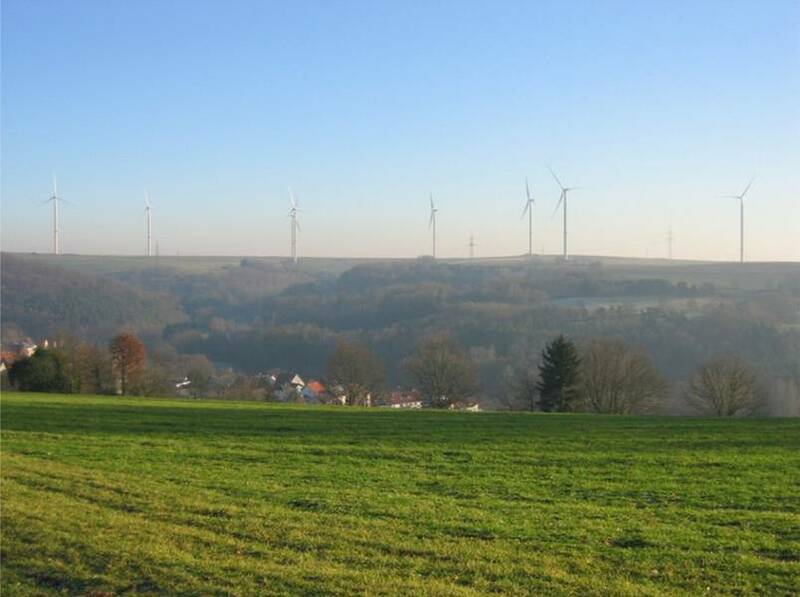 Making this German community of 10,500 people an energy-exporting region, despite mediocre renewable resources, and without harming the enviroment. 100% renewable energy is not fiction, nor unrealistic fantasy. What’s possible there, is possible everywhere. The technologies are ready and can be built within a few months or years. Those communities that embark on this mission benefit economically, culturally, and socially. Bringing people together, keeping the money in their community, creating jobs for their neighbors and income for the farmers that shaped their region for centuries, and building a better & sustainable future for their kids. They do this not because it is easy, but because it is right! That’s the spirit of the small-town energy revolution.